There are currently 119 online users. I know some are waiting to see farmhouse bash but while waiting for parts order my ADD kicked in and went on to finish the log hauling flats I started some time age. this is the prototype . this is the basic tichy 53'6" flat I started with. the mill wanted no more than 47 ' between the bulkheads to keep loads more compact for unloading reasons., that why there set back from end of car. One of my friend is in the process of building a small switching layout based on an agricultural community located in Southern Quebec. It used to be a MMA branchline. 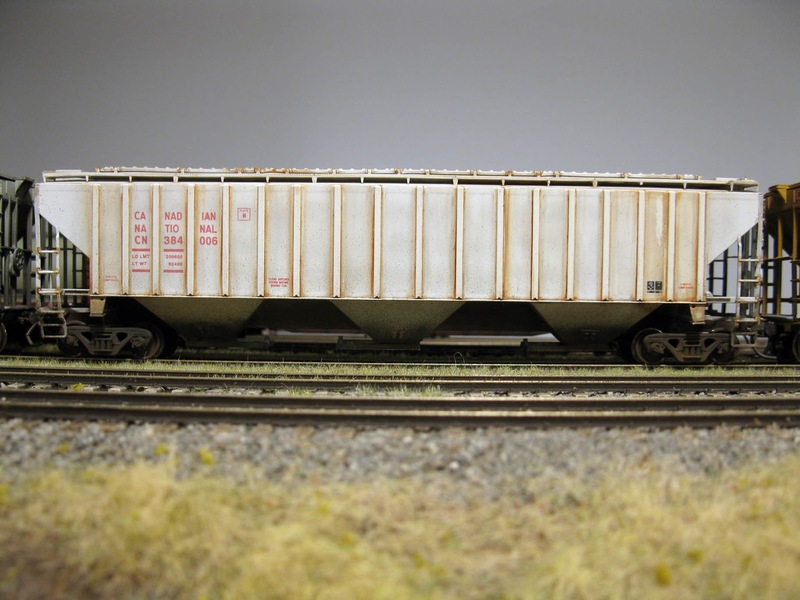 The fleet is made of old Athearn Blue Box kits, Accurail and Intermountain. The weathering was intended to blend together the cars, thus narrowing the huge difference in detailing. The weathering is based on real prototype pictures shot circa 2002-2006. It was extremely fun to try to replicate the effects using various techniques. I also tried my hand at graffiti even if I'm not particularly fond of that kind of "art". 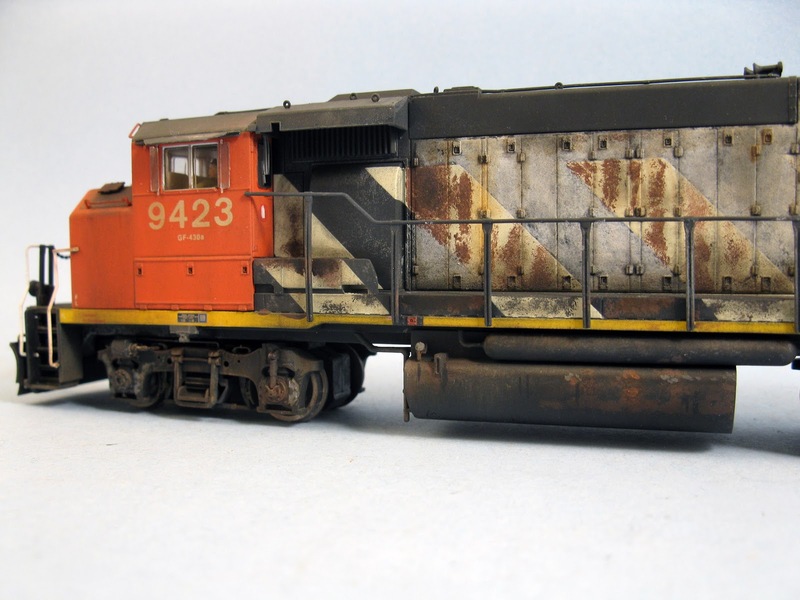 I believe nice weathering can truly bring back to life old freight cars. Taking in account how much a new grain hopper cost nowadays, we can no longer afford building large fleet without using some ingenuity. 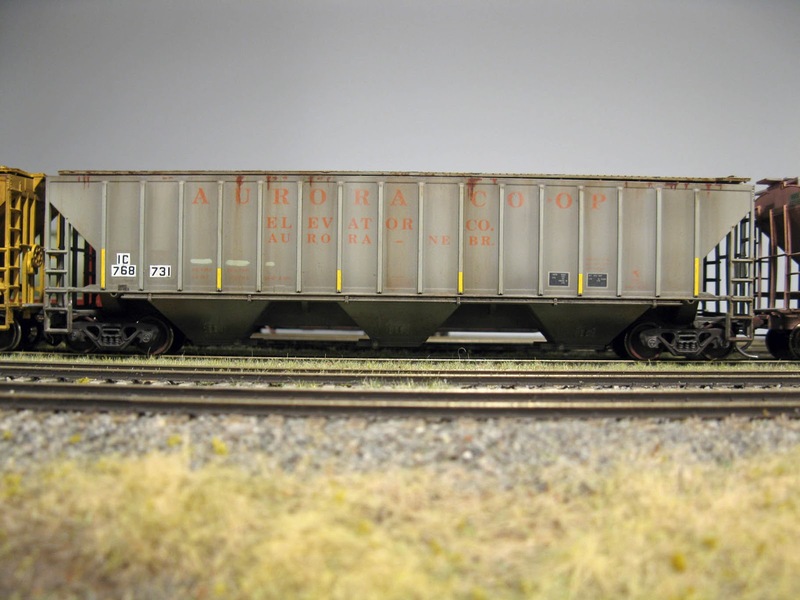 I'm also impressed by Accurail's ribbed hopper. They really did a great job in terms of balancing fine details, easy assembly and affordable price. 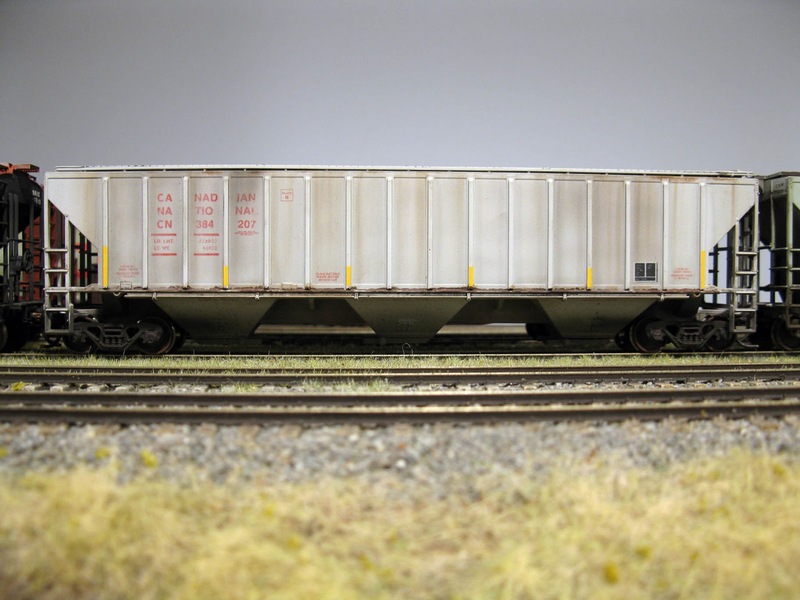 Their new toolings are particularly interesting and I hope, one day, they will bring some of their classic boxcars up to the same level of quality. It has been a while I posted here, but under the positive (and welcomed) pressure of Doctorwayne, I thought it would be nice to post about some of my recent projects. Many years ago, I acquired an Atlas GP40-2W. Like many people, I was a little bit disappointed by the crude cab thought I loved the smooth running drive. 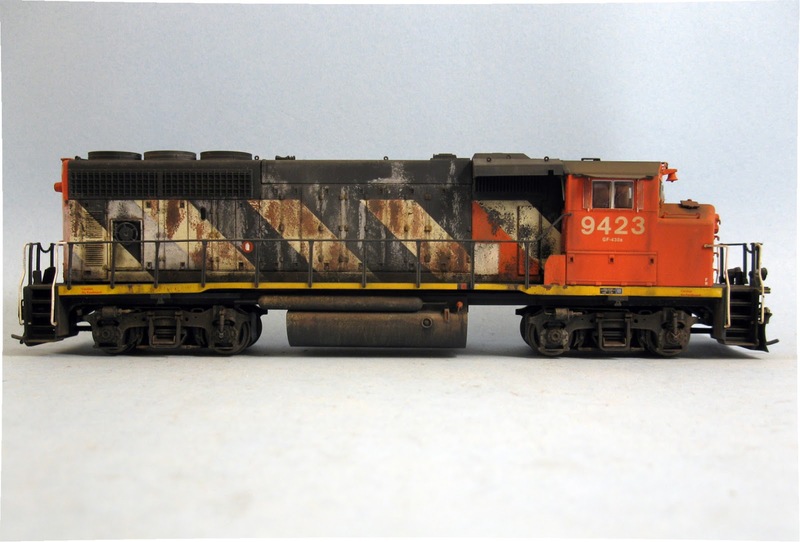 It stayed in my drawers and I almost bought an Athearn GP40-2W later until I found out their drive was not as good as Atlas and the fine details were far too much fragile. 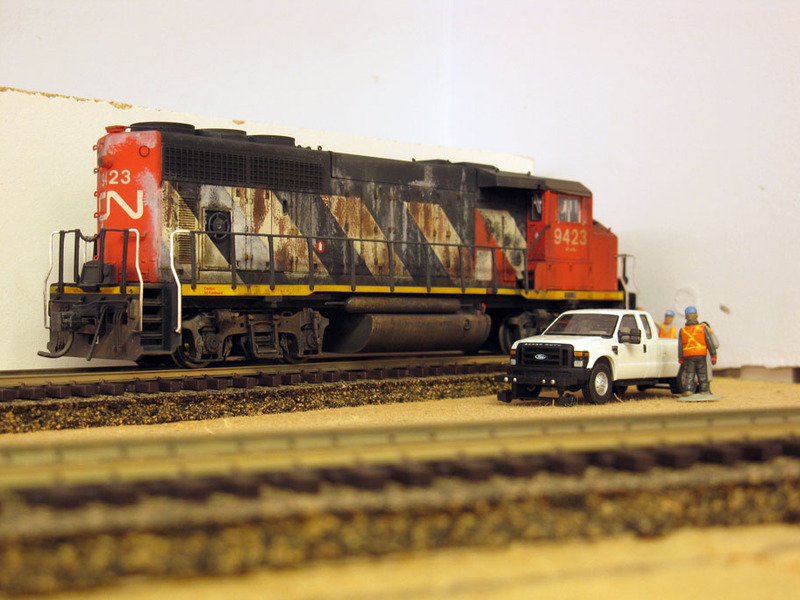 At that point I had no use for CN GP40s since my layout era was changeg to the early 2000s. Then I discovered GP40-2W did in fact visit my area in 2002 and that it could fit my layout perfectly. 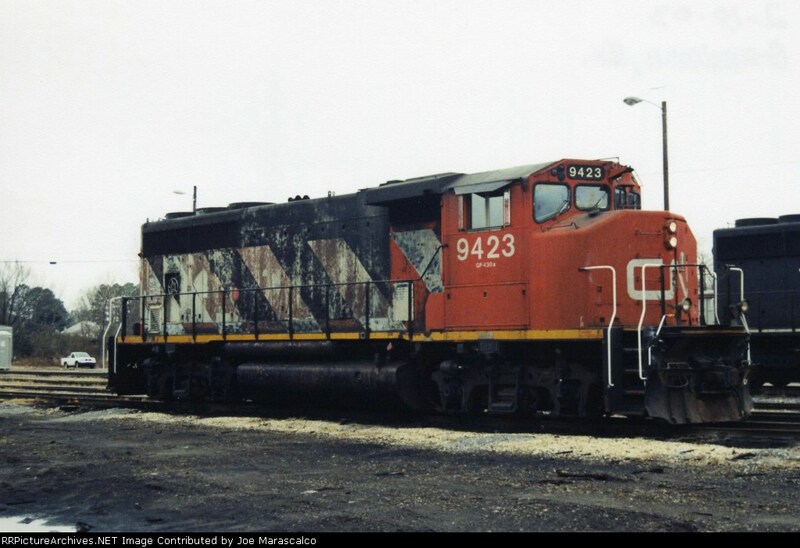 Back then, CN 9423 ventured in Clermont for a while as a backup locomotive. Thus, I added a Loksound decoder in the locomotive and new speakers. 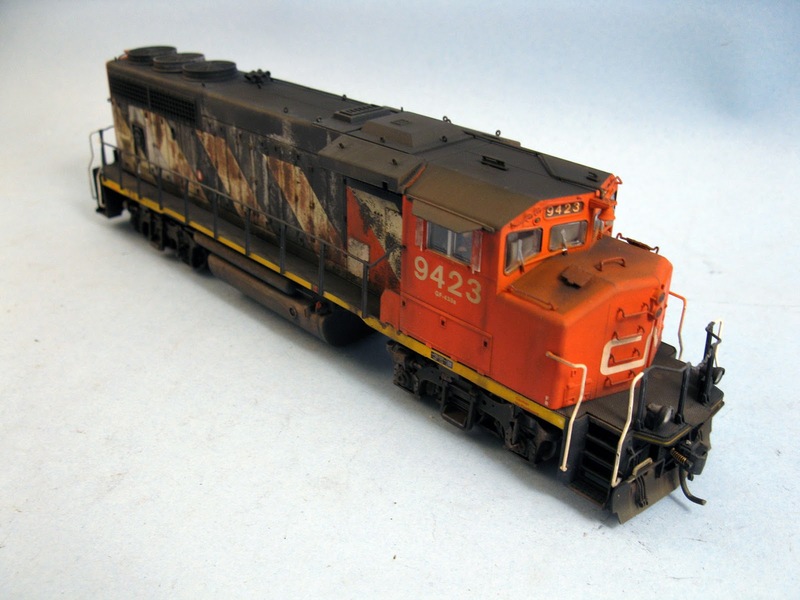 I renumbered the locomotive using Sean Steele excellent CN diesel locomotive decals. These decals are hard to find are cost much more than your regular decals, but it is well worth the price. Sean took the time to replicate CN fonts instead of using generic Helvetica fonts. And yes, it matters because CN had quite a peculiar number "2" design that other sets generally fail to replicate. Given there is a "2" in 9423, it was important to me to get this right. In my mind, people won't notice a 2" lower frame, but will easily find out lettering isn't prototypical. Atlas numberboards are factory painted white and a black layer is painted over it. This ensure they can be backlighted. Since I wanted to preserve that function, some Solvaset was used to remove the black layer. Once done, a new black decal with transparent numbers was printed then applied on the model. This way nothing is lost! 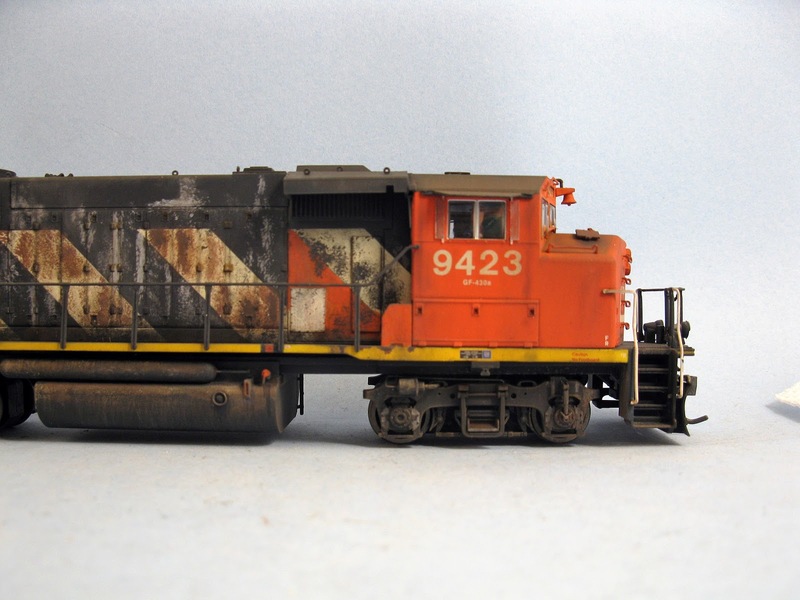 I also went an extra step and created the numberboard artwork using a real picture of CN 9423. Can't be closer to the prototype! And makes aligning decals far much easier. 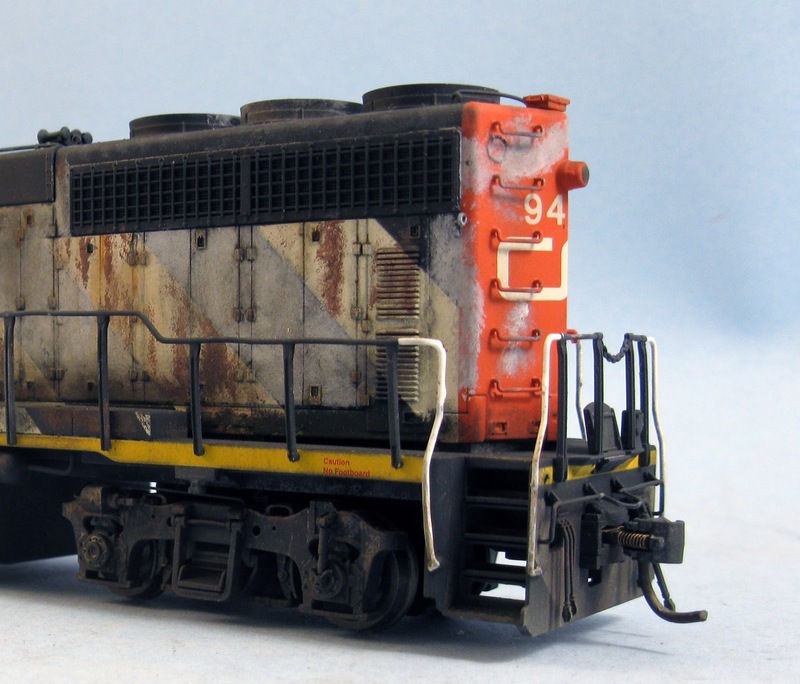 Interestingly enough, the prototype was heavily weathered and I though it would be a nice project to try replicate this. 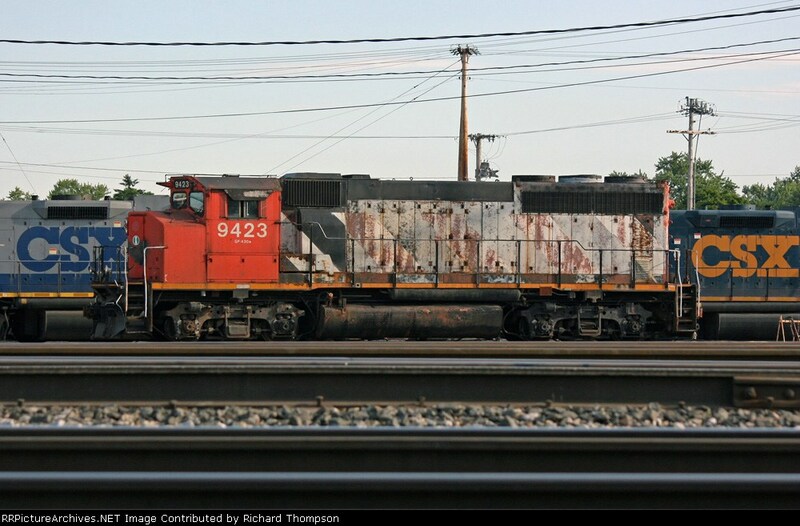 I used online pictures of CN 9423 to guide me. 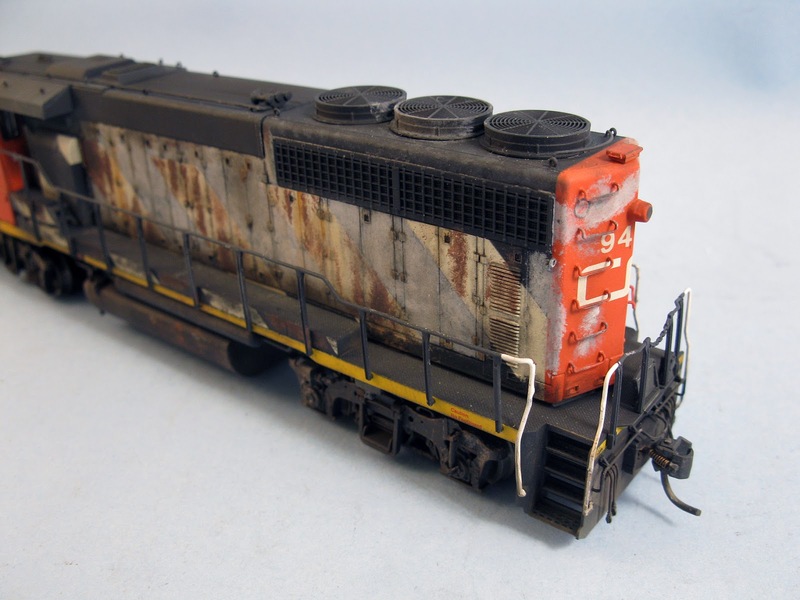 I was astounded by the amazing weathering pattern that developed on this particular locomotive. Both sides of the locomotive are heavily weathered, but not in the same way, which I find particularly challenging in a positive way. Ah, we're just upon the day where everyone is Irish, St. Paddy's Day. Wearing of the green, green beer, corned beef and cabbage and trying to speak like you just got off the boat. All myths, but that's OK as long as we have a good time. 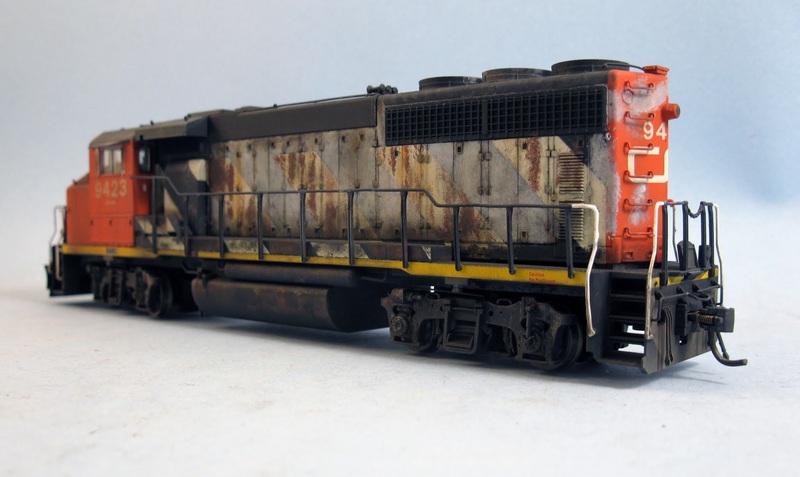 I recently bought a United Models Santa Fe 1950 class 2-8-0 and decided to model a freelance Santa Fe branch line set in 55/56 in Louisiana or Missouri. I will be using Accurail 40' cars. I have studied several on line photos of 55/56 and had mixed results..My own 1956 railfan experience is questible at best since as a eight year old I was more interested in taking photos of PRR fading steam and shiney new diesels. A sad trend that would follow me several decades of my railfaning. So,my plans call for a end of the branch line switching layout complete with station,water tank and house track/team track with three other industries of which one will require inbound loaded reefers(Santa Fe,NP and PFG). So.... Should I use a combination of wood and steel cars or all steel? Been decades since I modeled a steam era layout and to be honest I'm a tad beyond my dieselized ISLs experiences.. 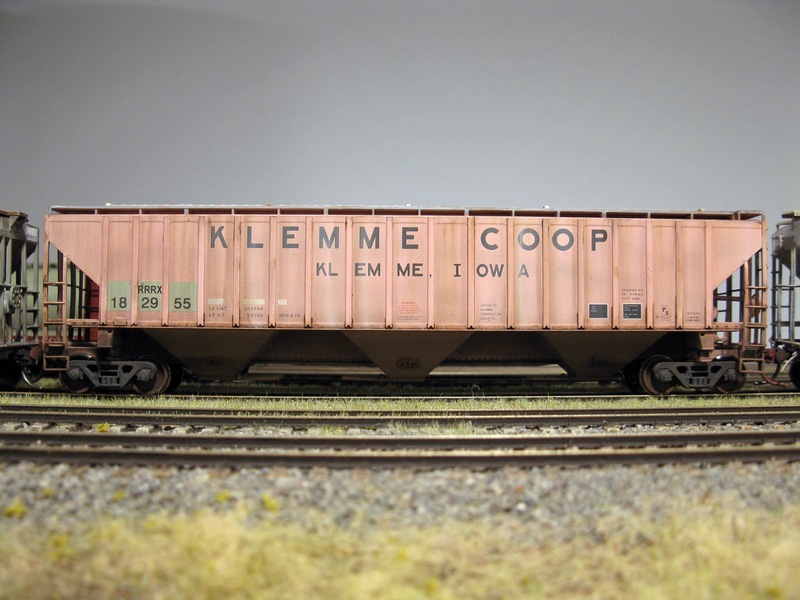 When he operated my layout for the first time, my friend complained about my industries not being well identified. I solved the problem by installing simple plaques with the name of the industries along sketches of the tracks. I hope this will make future operators of the St-Henri Junction happier. 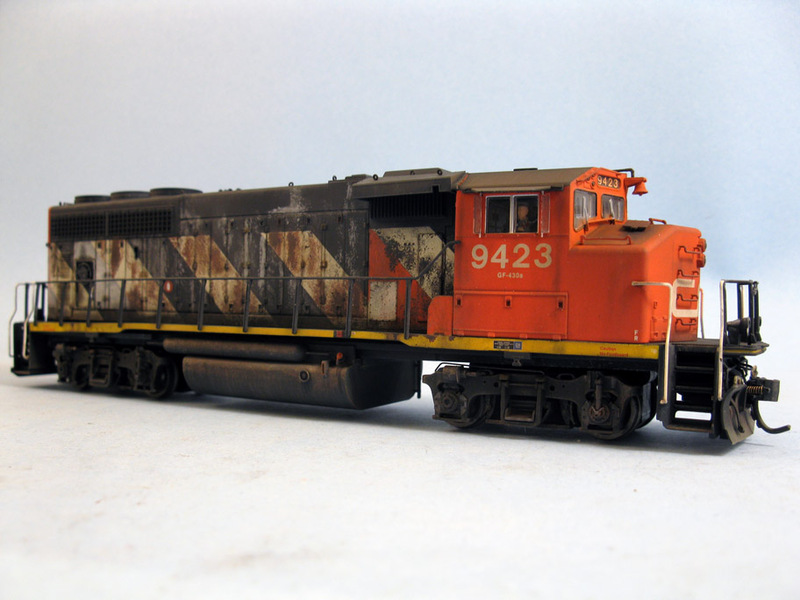 GP10 7560 and MT4 slug 1007 work the Mannheim Yard. Does brass require any special prep prior to painting or "take" one type of paint (e.g., water- or oil-based) better than another? I've never used brass before and am expecting delivery of Tomar's Hayes bumpers soon. If yes on either or both counts, details appreciated. 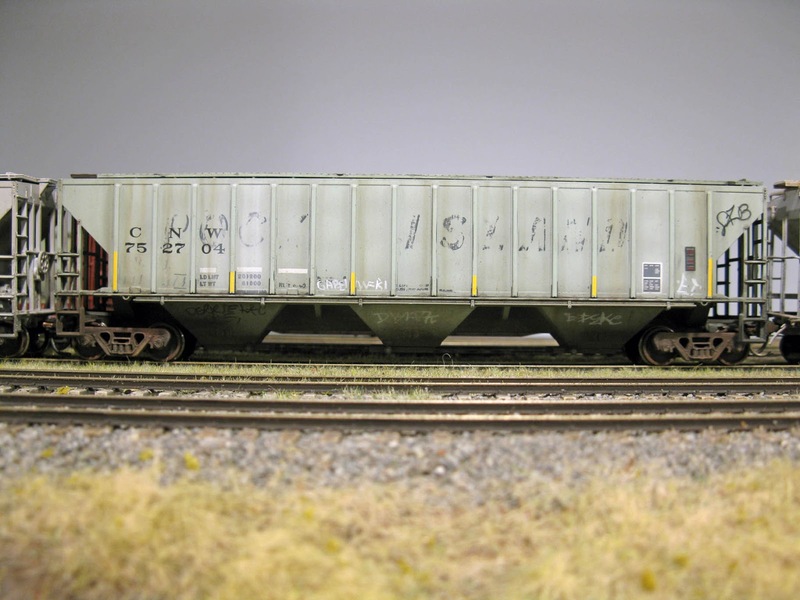 I recently assembled two Proto 2000 Automobile Double Door 50' Steel Boxcar kits. I want to paint and letter them for the GTW. What was the color of the under frame and truck? I made a search on the Internet but found no clear photos of the prototype. 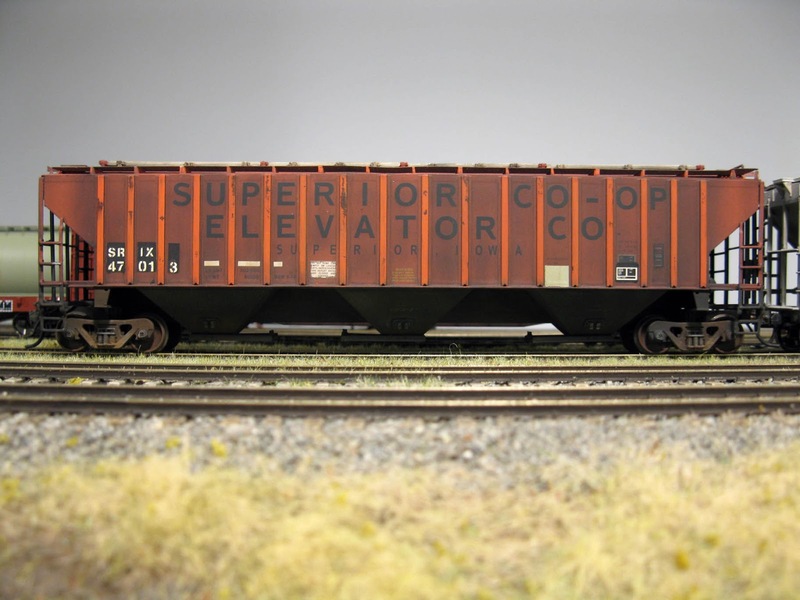 In the same era, CNR boxcars were some Boxcar Red all over, body, under frame and trucks. 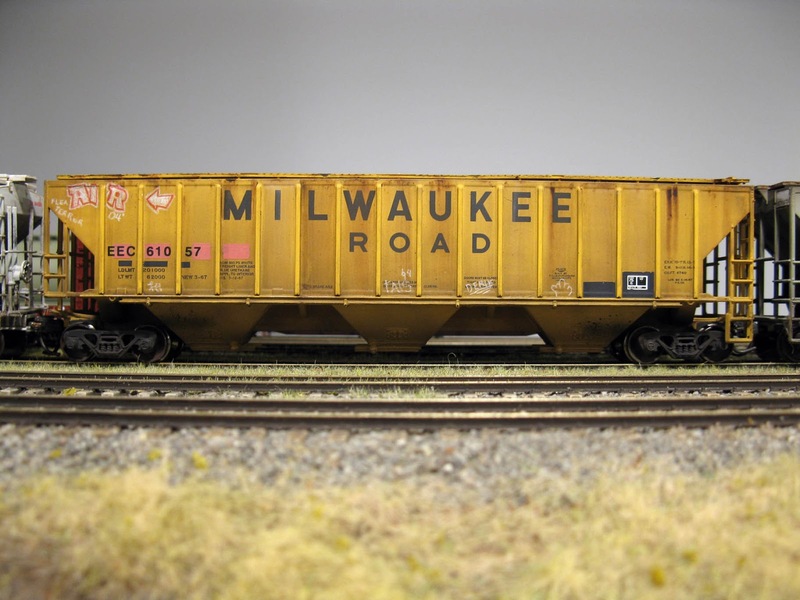 What about the GTW? I see some RTR models with Red under frame, other with Black one, all with Black trucks. But every modeler knows that even the best RTR are not always prototypical.